I’ve been to Fort Ilocandia in Laoag, Ilocos Norte several times but its allure is never lost on me. My dad grew up in Bacarra, Ilocos Norte then relocated to Manila when he was in college. Going up north to his home town has always been an adventure for me, a very long 12 hour bus drive. As time passed, even if flights are available bound for Laoag, I still stubbornly choose to take the bus. The highlight of my trip is always visiting Fort Ilocandia. 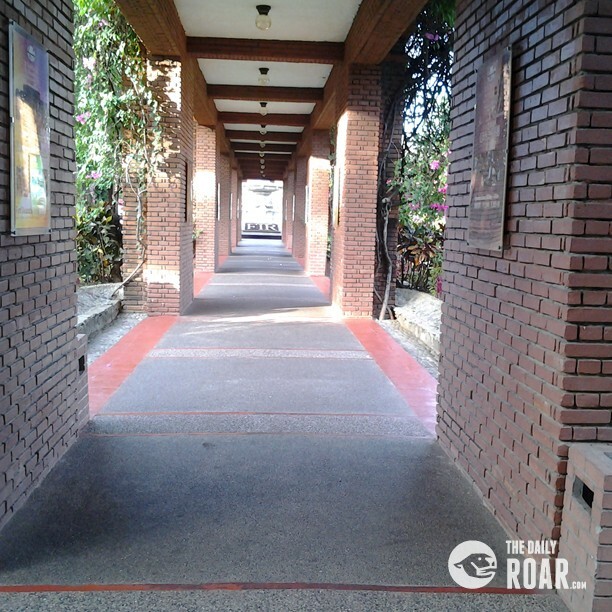 Fort Ilocandia Hotel and Casino is the only five star hotel in Ilocos Norte. The complex where the hotel stood was built by former Philippine president Ferdinand Marcos for his daughter Irene Marcos’ wedding reception. It’s situated on a spacious land. Though the hotel is only two-storey, the manicured lawns with iron sculptured of cupids has more charm than any hotels in Metro Manila. It’s a breath of fresh air from the towering hotels in the city which look very generic and almost uniform. I love how its spacious garden sprawls in front of you. One of the most beautiful spot is the walkway around the garden. The lovely bougainvilla planted along each side reminds me of a beautiful wavy hair framing a lovely woman’s face. I really don’t need to book a night’s stay there because the rooms are also pricey. I just love strolling through the wood paneled halls. Those big red tile floors give out the vibe of a glamorous era long gone. I like the fact that the hotel clung to its architecture. The structure was well-maintained but it doesn’t have the sterile feel of a newly opened trendy hotel. It’s perfect location is an allure for a traveler who also loves the beach. The beach is only a few feet away from the hotel. Though it’s a far cry from the powdery white sand of Boracay, its strong waves and gray sand is a refuge to someone who wants to be away from the city life for a few days. I make it a point to watch the sunset by the beach in Fort Ilocandia. Every time I watch the sun set and see kids swimming to their hearts content in the sea, I always take a photo of the scene. I love the way how the sun casts different hues of blue, pink and orange on the clouds. The sea also seems to tinkle like small diamonds float on the surface. I cling to this image. Saying goodbye to a familiar place can still be sad. But hope springs eternal when I know I’ll see the scenery again. I’m looking forward to December because I know I’ll set my foot on Fort Ilocandia again, to a very familiar and yet entirely different view with each visit.